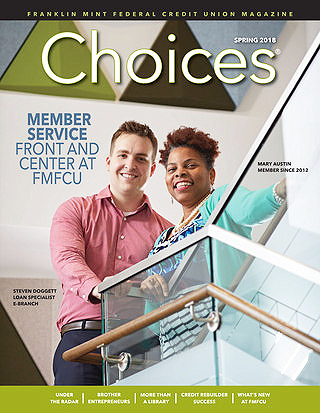 Published two times a year, FMFCU’s Choices magazine brings you the latest news from FMFCU, along with in-depth features articles and columns designed to help you manage your finances. 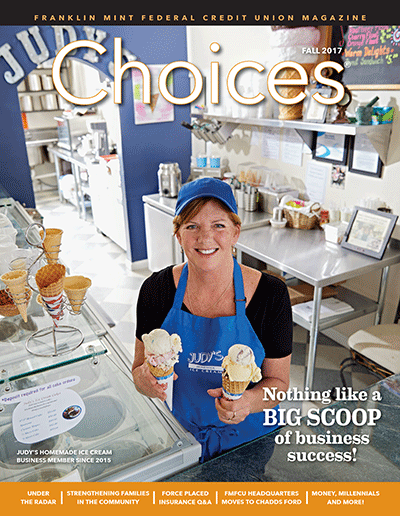 Read the issue here. Despite the weather on Friday, May 18, 2018, many folks braved the elements to participate in the Delaware County Transportation Management Association (DCTMA) 2018 Bike to Work Day! FMFCU was the presenting sponsor and represented by Clara Burke, Sheri Kirchoff and Mike Bunner, DCTMA Board Member.